Suburbs of Hesperia: Oak Hills. Hesperia is also known as: San Bernardino County / Hesperia city. Their current mayor is Mayor Mike Leonard. Zip codes in the city: 92340, 92344, 92345. Some of the notable people born here have been: Dominic Thomas (music artist). Hesperia is a city in San Bernardino County, California, United States. 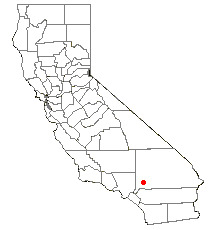 It is located in the Mojave Desert 15 miles (24 km) north of San Bernardino. The locals refer to the surrounding area as the High Desert. As of the 2010 census, the city had a population of 90,173. It was revealed by Daily Press on January 18th, 2019 that William C "Bill" Fertig perished in Hesperia, California. Fertig was 68 years old. Send flowers to express your sympathy and honor William C "Bill"'s life. It was disclosed by Daily Press on January 11th, 2019 that Claudio H "Cajji" Lugo passed on in Hesperia, California. Lugo was 81 years old. Send flowers to express your sympathy and honor Claudio H "Cajji"'s life. It was noted by Daily Press on October 17th, 2018 that Doris C Ibbs (Booher) perished in Hesperia, California. Ms. Ibbs was 77 years old and was born in Klamath Falls, OR. Send flowers to express your sorrow and honor Doris C's life. It was reported by Daily Press on September 27th, 2018 that Larry Niels Nelson perished in Hesperia, California. Nelson was 79 years old. Send flowers to express your sympathy and honor Larry Niels's life. It was revealed by Daily Press on September 12th, 2018 that Cecilia Araujo (Lopez) passed away in Hesperia, California. Ms. Araujo was 45 years old. Send flowers to express your sorrow and honor Cecilia's life. It was noted by Daily Press on September 12th, 2018 that Rita Sue Benson (Wilson) died in Hesperia, California. Ms. Benson was 74 years old. Send flowers to express your sympathy and honor Rita Sue's life. It was reported by Daily Press on September 12th, 2018 that Isabel J Chip (Jimenez) passed away in Hesperia, California. Ms. Chip was 85 years old and was born in Santa Clara, NM. Send flowers to share your condolences and honor Isabel J's life. It was revealed by Daily Press on July 25th, 2018 that Jane Kay Rohde died in Hesperia, California. Rohde was 79 years old and was born in Tomah, WI. Send flowers to express your sympathy and honor Jane Kay's life. It was reported by Daily Press on June 26th, 2018 that John Lorenz Hickson died in Hesperia, California. Hickson was 77 years old and was born in Davenport, IA. Send flowers to share your condolences and honor John Lorenz's life. It was disclosed by Daily Press on March 17th, 2018 that Gary W Chacksfield passed away in Hesperia, California. Chacksfield was 68 years old. Send flowers to express your sympathy and honor Gary W's life. The first inhabitants were Serrano Indians who lived in the normally dormant Mojave River bed, but the land was sparsely inhabited desert during Spanish California rule in the 19th century. The town site was originally laid out in 1891 by railroad company land developers of the US & Santa Fe Railroad completed that year. Hesperia was named for "Hesperus", the Greek pantheon god of the west. Hesperia grew relatively slowly until the completion of US US Route 66 66, California State Route 91 and US Route 395 in California in the 1940s followed by Interstate 15 in the late 1960s. Suburban growth transformed the small town of 5,000 people in 1970 to a moderate-sized community of over 60,000 by the year 2000. The official website for the city of Hesperia is http://www.cityofhesperia.us. She, however, is from California and now lives in Hesperia with their newborn daughter ... later this month and hoped to have him meet with the students. Kenny Land said funeral arrangements will be made when the military releases his body to the family. Listing all funeral homes in Hesperia, California so you can easily send flowers to any location (same day delivery) or find any funeral service.